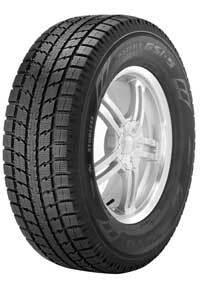 Tires are designed specifically for different vehicles and wheel sizes. Tell us about your vehicle or the specific size you want so we can help find the right tires for you. Enhances wet grip, braking and traction in low temperatures. Offers better contact and increased safety as carbonic powder created from bamboo absorbs moisture on the road. Improves traction as ground walnut shells dig and bite into the snow and ice. Evacuate slush for better road grip. Ensures straight line stability. Increases ice traction in all directions. Tread patterns must often be tuned to accommodate different tire widths. While tires reserved will match your order's specifications, photos used only represent typical sizes. When searching by tire size alone, please be aware that the displayed results may not be applicable (or recommended) for your vehicle due to several factors (including but not limited to speed rating, load capacity, etc.) To view recommended tire options for your vehicle click "Find Tires By Vehicle" and enter the required information. Notifying the owner if the replacement tires are different in speed rating than the OE tires and the maximum speed capability of the vehicle is limited to the lower speed rated tires. By confirming that the tire has adequate maximum load capacity. Prices listed for all studdable winter tires already include the studding charge. equips your vehicle with more than one possible size during production.